Industry professionals and studious observers, through the Association for the Study of Peak Oil (ASPO) and other networks, have made a remarkable contribution to the dialogue concerning future oil production. They continue to provide detailed analysis, using all of the data available to them, and present a compelling argument for a near-term peak in global oil production. 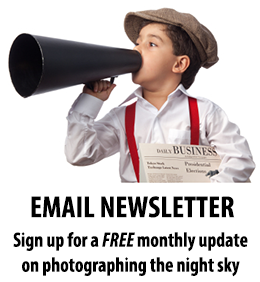 A growing number of government, corporate and community stakeholders find the case convincing and increasingly robust. Conventional oil resource assessments by the United States Geological Society (USGS) form the basis for claims that petroleum resources are adequate to support continued growth in supply. A reassessment of the latest reserves, discovery and reserves growth figures suggests that each category has been substantially over estimated. Increases to world reserves in the last decade come primarily from the reclassification of Canadian tar sands and a single major revision by Iran. Lack of significant reserve boosting discoveries means the situation in non-OPEC countries looks increasingly stark. Unconventional oil resources are volumetrically large but limited in their sustainable production rates. Objective reports cast doubt on high-end expectations. Proper assessment of depletion underpins predictions of a near-term peak in global oil production. The oil industry and its employees face many exciting challenges in the years ahead. Objectively presenting the future of world oil supply to our stakeholders is one of them. 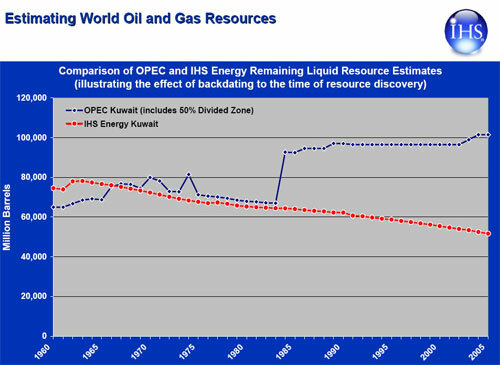 Quoted OPEC member reserves, and large upward revisions during the 1980's in particular, give cause for concern. The International Energy Agency2 has supported this interpretation, saying that "the hike in OPEC countries estimates of their reserves was driven by negotiations at that time over production quotas, and had little to do with the actual discovery of new reserves." More revealing is recent IHS data, in this case specifically for Kuwait3 (fig.1). This suggests that Kuwait's reserves are closer to 50 billion barrels rather than the 101 billion barrels reported publicly. Further confirmation comes in the IEA's definitive World Energy Trends 2005 - Middle East and North Africa (MENA)4. 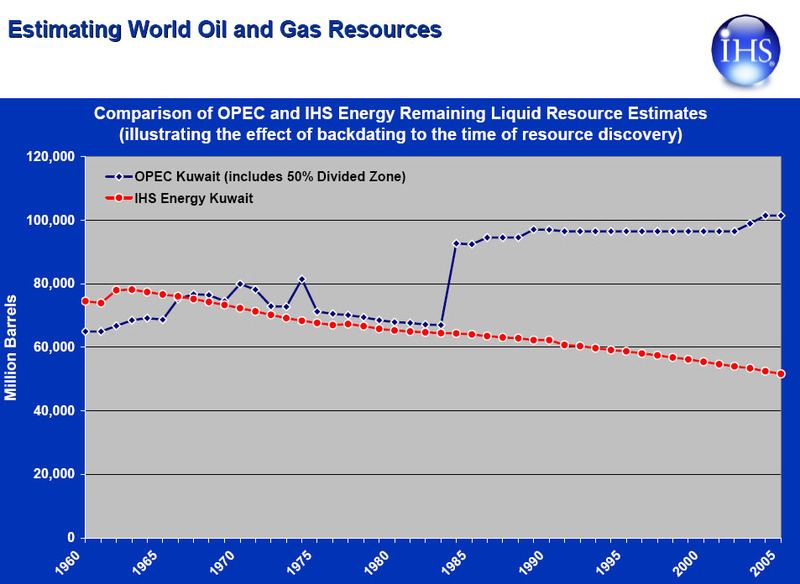 They estimate remaining proved and probable (2P) reserves in Kuwait (including half share of Neutral Zone) at 54.9 billion barrels from 9 named and two 'other' fields. For the UAE, proven and probable reserves (2P) are put at 55.1 billion barrels from 9 named fields and one 'other'. These estimates for the end of 2004 are sourced from IHS Energy and IEA databases. As neither country has large or even small undeveloped fields this is clear evidence that their reserves have been overstated. other OPEC members who also increased their assessments in the so-called 'quota wars' of the 1980's It is our view that OPEC member reserves are overstated by approximately 250 billion barrels in total. Available data on reserves are inadequate for robust government and corporate planning. If we are seeking increased transparency in the dialogue concerning future oil production, an audit of national reserves would be a good place to start. In World Petroleum Assessment 2000, the USGS5 described a potential 939 billion barrels of oil discovery over the period 1995-2025, equivalent to 31 billion barrels per year. But actual discovery continues the steady decline it has exhibited for many decades. Over the last five years, discovery has fallen to less than half the rate anticipated by the USGS (fig.2). Extension of the discovery trend indicates a future conventional oil discovery potential of approximately 200 billion barrels. Increasingly, those arguing against peak oil implicitly accept the obvious truth here, choosing to play down the role for discovery in meeting future oil supply, and instead emphasizing the importance of reserves growth. size increases over time in the US Lower-48 and applied an observed 44% growth to worldwide remaining reserves and cumulative production. production and field development proceeds, publicly stated proven reserves are necessarily revised upwards, towards the initial 'proved plus probable' estimate. The real average increase in P50 reserves is therefore significantly lower than 44%. Secondly, the manner in which oil fields are developed now bears no comparison to the early days of the US industry and leaves a lot less to gain. This difference has arisen largely because North American (USA and Canada) mineral rights are vested in the landowner, while almost everywhere else in the world they are vested in the Government. Since the 1970's, and in contrast to early North American experience, new fields have generally been unitized and fully delineated, with secondary recovery in place where appropriate from day one. As a result of this fundamental difference in ownership and approach it is quite inappropriate to apply this reserve growth experience to non-North American reserves. Development of deep water and smaller fields has only strengthened this trend towards optimized recovery from early in field life. Consequently, there has been relatively little reserves growth observed in the last decade. the large fraction of fields, where secondary recovery facilities are in operation or strong natural pressure support is present. Future reserves increments are the additional contribution that could be achieved by tertiary recovery. those fields where tertiary recovery mechanisms are already operating. Prospects for further reserve growth in this category are limited. fields at or near the end of their producing lives, especially those decommissioned or de-pressurized in a switch to gas production. Isolated fields may be successfully redeveloped but average increase in reserves will be low. gas/condensate fields where confidence in ultimate liquid production is higher and possibilities for enhanced recovery are generally limited to lowering wellhead pressure. Using these categories, a new estimate of potential reserve growth is presented in Table 1. These are theoretical gains that may not all be realized, even over a period of several decades. Input from CERA and others to refine this assessment is welcome. It is necessarily approximate but dramatically improves on the simple (and probably inappropriate) extrapolation used by the USGS. Furthermore, their estimate of 730 billion barrels of reserve growth over the thirty year study period describes an annual reserves increase of 2.5%. Internal company estimates of annual growth in field reserves are closer to 0.2%. The USGS result is ten times higher than that used within the industry and must be called into question. a) Primary recovery is often used for initial field production, with pressure maintenance applied once sufficient field experience has been accumulated. Effectively, most fields move from primary recovery to secondary recovery (where required) within a few years of start-up. b) This category includes fields where aquifer support achieves strong pressure maintenance, eg. Burgan, Kuwait. c) Gas/condensate fields are assumed to have potential liquids reserves growth of 10% on average and are therefore included in the same category as fields with secondary recovery. 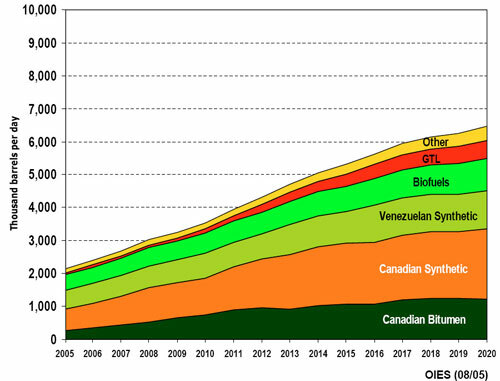 The case for downward revision of the USGS estimates of current reserves, discovery expectations and reserves growth leads to our assessment of conventional oil resources, which is presented in Table 2.
a) CERA1, rounded figure to end of 2005.
b) Oil and Gas Journal6 excluding tar sands (OPEC:860 subtract 250 overstated, non-OPEC:280). At a rate of 30 billion barrels per year, cumulative production reaches 50% of the total resource in just four years. Regardless of the eventual shape of the world oil production curve, further expansion of conventional oil production is already tightly constrained. 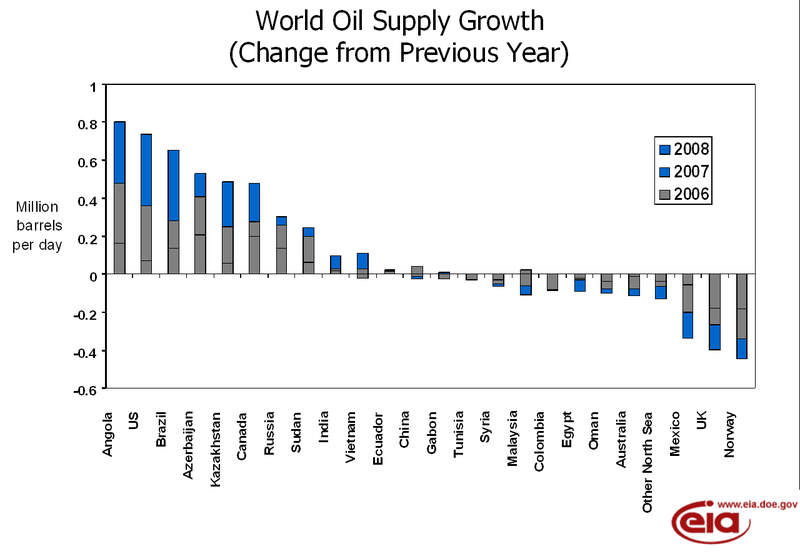 Growth in total world oil supply now depends on the prospects for unconventional oil. for large unconventional oil resources. Reporting the two collectively also obscures trends that would otherwise be apparent in the category of conventional oil reserves. million barrels per day by 2020. This is well short of the 25 million barrels per day that CERA predict in the same time frame. is falling behind previous forecasts. Concerns about the demand for water and gas and impact on the local environment are all constraining further expansion. Unconventional oil production will continue to expand, but there are significant downside risks. High-end forecasts are unlikely to be met. "OPEC conventional oil production is assumed to fill the gap between non-OPEC production and non-conventional and total world oil demand." 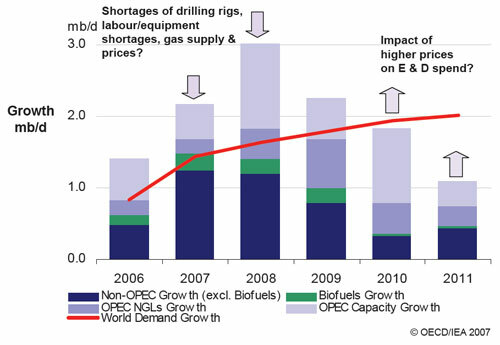 the IEA call on OPEC to provide fully 70% of the supply increase from 2002-2030. Extrapolating demand forward is not a fit-for-purpose technique and will logically fail to anticipate peak oil leaving the global economy unprepared. CERA appear to present a bottom-up analysis. However, as with the energy agencies, they also have found themselves revising down earlier forecasts. Underlying these systematically high forecasts is an inadequate assessment of depletion; the same reason our industry failed to anticipate previous regional peaks. With hindsight, it is clear that the oil industry in America in the early 1970's and the North Sea in the late 90's failed to anticipate their respective production peaks because they under-estimated the role of depleting mature oil fields in dragging down net production. Naturally enough, the industry and media focus on the positive news; field development and discoveries, new technologies and moves to extract unconventional resources. Figure 4 presents the good news; the historically high level of new capacity planned in the next few years. But every year, with no threat of delays or cost overruns, depletion eats away at the potential of every producing field. 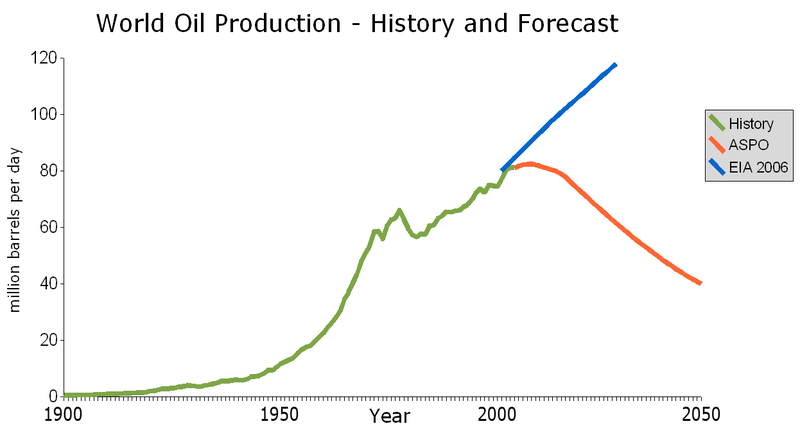 When the balance between these two shifts in favor of depletion, peak oil will have past. Selective bias, focusing on the positive news, reduces our ability to anticipate this peak. In Figure 5, the EIA illustrates this balance between countries where production is expanding against just some of those where production is already in outright decline. Skrebowski's Megaprojects report11 identifies projects with a total capacity of 3.2mn b/d that were expected on stream in 2006 (including unconventional oil). This is split roughly equally as 1.6mn b/d each from OPEC and non-OPEC producers. For non-OPEC countries, the production gain recorded by the EIA was 300,000 b/d in 2006. This means non-OPEC producers lost 1.3mn b/d to depletion last year. This is consistent with the magnitude of capacity loss seen in other data sources such as the latest BP Statistical Review of World Energy. OPEC producers recorded an annual decline of nearly 500,000 b/d in 2006. This can only partly be accounted for by quota cuts planned for the last two months of the year. Either OPEC producers chose to withhold production through a period of strong demand and sustained high prices, or depletion is running at least equally high in OPEC as in the rest of the world. Perhaps it is some combination of these two effects. The world picture then is that crude oil and condensate production fell 200,000 b/d compared to the previous year. 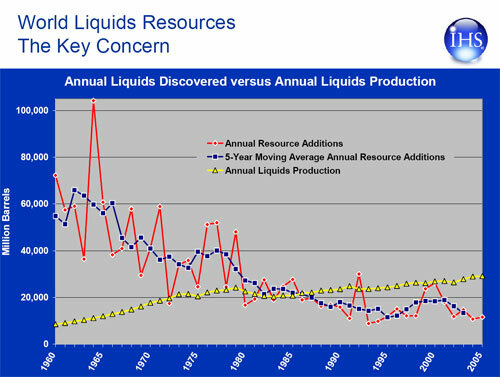 Growth in NGLs and other liquids was just able to hold total liquid supply flat. Despite a historically high level of industry activity, it looks increasingly clear that new capacity and ongoing field development work is now barely sufficient to offset depletion. Capacity constraints leading to project delays are unlikely to ease in the short-term. The sort of increased production flows the world needs to underpin economic growth may no longer be possible. Peter Jackson claimed that "production in 2005 in the contiguous 48 states in the United States was 66% higher than Hubbert predicted"1. This is based on the lower of the two logistic curves proposed by Hubbert in 1956. Hubbert's upper estimate (URR=200Gb) has modeled both cumulative and annual production to within a few percent. Not bad for a forecast that is 40 years old. 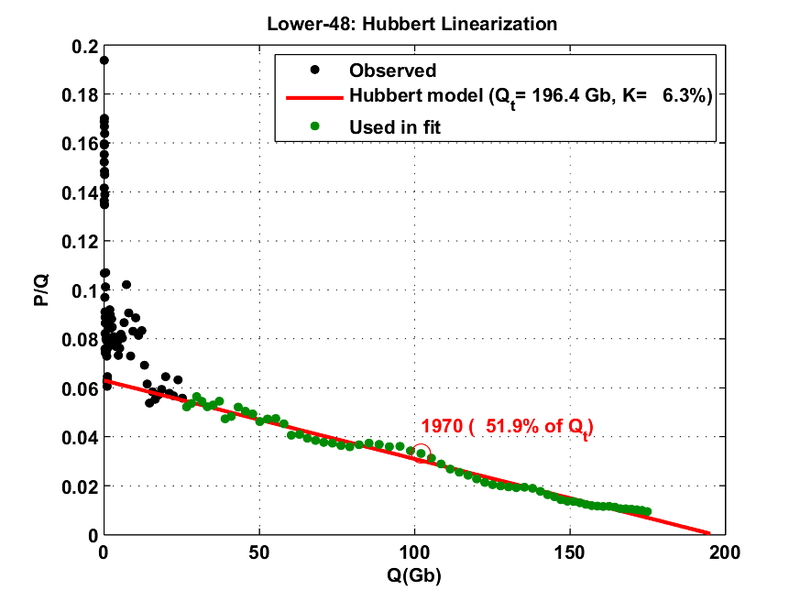 A linearization technique named after Hubbert and applied to the latest data continues to predict a URR for the Lower 48 States of close to 200Gb, despite the technological advances and other 'above ground' factors (fig 6). The same technique applied to OPEC members further supports our assessment of conventional oil resources in Table 2. Peak oil presents a profound challenge; one completely at odds with demand based forecasts of growth in energy consumption. The poor standard of fundamental information relating to reserves and future production makes it easy to deny or obfuscate the likelihood of a near-term peak in global oil production. The low level of new discoveries limits the extent to which the industry can continue delivering such a high level of new capacity. Meanwhile, there is a real danger that decline rates in mature regions will continue to increase. The balance between these two may tip in favor of depletion sooner than expected. As Hirsch et al12 have noted, preparing for peak oil requires two decades of intensive, government coordinated effort. Peak oil critics propose that we take a large risk by delaying preparation. The analysis presented here signals that making changes now would be far more prudent. International Energy Agency, World Energy Outlook. 2004. Chew, K. (IHS), Oil Depletion: dealing with the issues. Energy Institute Nov 2006.
International Energy Agency, World Energy Trends 2005: Middle East and North Africa. 2005. Wood Mackenzie, Canadian Oil Sands Developments: Will Cost Hyper-inflation Curb Attractiveness? Press Release Mar 2007. Hart and Skebrowski again enter the reserves maze and fail to note the huge uncertainties surrounding reserves calculation and also appear to write off unconventional reserves as insignificant. We remain puzzled about their dismissal of the critical importance of reserves upgrades and revisions and what seems to be a rather static attitude toward technology. 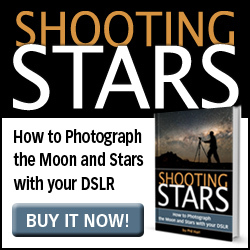 depletion sooner than expected" without presenting any supporting evidence of why or when or even from whom. CERA's recent detailed work on depletion for more than 800 fields suggests that global annual depletion averages are cyclical. aims to raise international public awareness and promote better understanding of oil and gas depletion and to investigate its impact on the economy and society. Chris Skrebowski is editor of Petroleum Review, since June 1997, having edited Petroleum Economist for the previous three years. Prior to that, he spent eight years working for the Saudi industry as an oil market analyst in London. Chris started his working career in 1970 as a long-term planner for BP and then joined Petroleum Times as a journalist just before the first oil crisis of 1973/74. He is one of the founder members of the Association for the Study of Peak Oil.